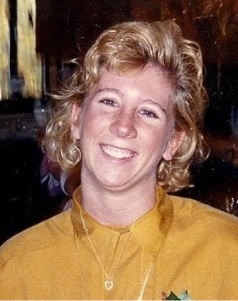 Linda Kay Fulton Hall, 52, of Ringgold, passed away Monday, January 15, 2019. Linda was born July 26, 1966, in Cleveland to the late Richard and Alice Fulton. Linda was of the Lutheran faith. Her rich spiritual life and faith in God sustained her during the time of declining health. Mrs. Hall was a gifted jewelry artist, devoted mother and wife, avid reader and she loved to travel. Linda will be remembered for her generosity, her loving nature, tenacity, courage and her wit. She is preceded in death by her sister, Mickey Fulton. Survivors are her husband of 28 years, Herman Matthew "Hal" Hall; daughters, Hailey Nichole Hall, of Columbus, Oh. and Hannah Mackenzie Hall, of Ringgold; brother, Richard “Woody” Fulton, of Rossville; step-sister, Leeanna King, of Washington, Pa.; and numerous nieces and nephews. A memorial service celebrating the life of Linda Hall will take place at a later date. Arrangements are by Heritage Funeral Home & Crematory, Battlefield Parkway.